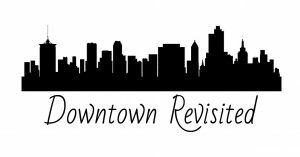 The Downtown Revisited experience is a brand new opportunity to engage with topics never before covered in an LT class. Tulsa’s downtown has changed dramatically over just the past few years and we are never able to highlight everything the first time through. We hope you can join us for this truly unique all-day experience! The Leadership Luncheon for the month of October will take place during our Downtown Revisited Day and is included in your sign up. You can also RSVP for the Leadership Luncheon separately here.